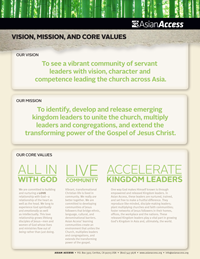 Asian Access recently reviewed our values as a mission. What a fascinating journey and valuable learning experience it was! We spent hours in dialog throughout the movement at every level: volunteers, staff, alumni, faculty, board and reference council. It was nothing short of amazing to see things come together. 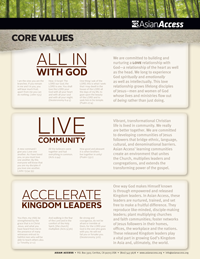 As we honed the various nuances and prioritized down to three core characteristics, we came up with three core values. 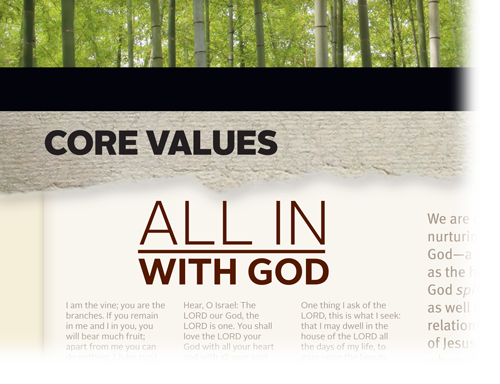 The first is this: ALL IN with God. “We are committed to building and nurturing a love relationship with God—a relationship of the heart as well as the head. We long to experience God spiritually and emotionally as well as intellectually. This love relationship rows lifelong disciples of Jesus—men and women of God whose lives and ministries flow out of being rather than just doing. 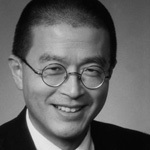 What is the secret sauce of Asian Access? Some have asked me, “Joe: What is the secret sauce of Asian Access? Is it leadership selection? Is it vibrant learning communities?” While those may, in fact, be key to our fruitfulness, I would argue even deeper that the single most profound concept that shapes Asian Access is this idea: that we are ALL IN with God. Everywhere I travel, visiting key leaders with Asian Access, this one profound truth has impacted lives and leaders so powerfully. At first it was a little surprising: shouldn’t all Christians and especially pastors know this simple truth! As we remind ourselves regularly, it is only in the depth of our “Love Relationship with God” that our lives, our families, our churches, our communities and our nations will see transformation. This is the secret sauce of Asian Access. It is rooted in a deep love relationship with Jesus! How has your relationship with God influenced your life, your church, your world?